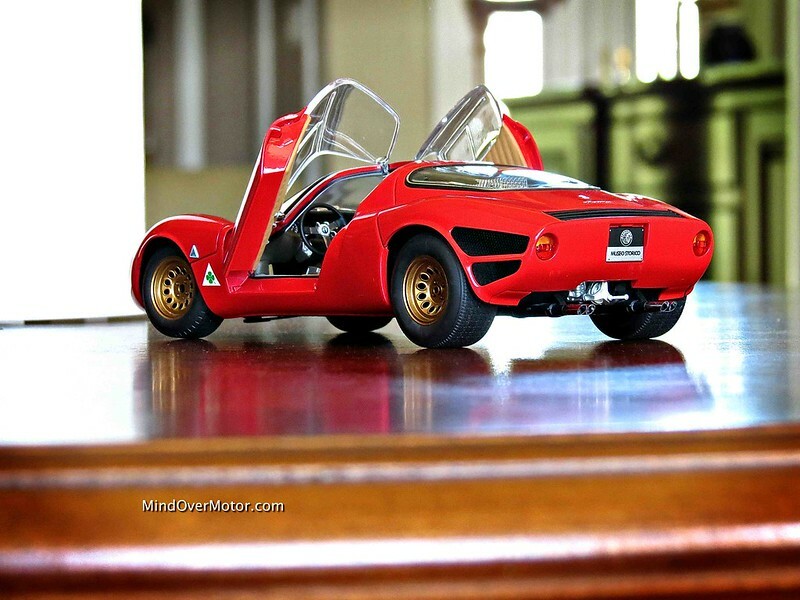 It has been quite some time since I last bought a model car, but this Alfa Romeo Tipo 33 Stradale by AUTOart proved too enticing to pass up. One aspect of my automotive enthusiasm which I have not yet shown here on Mind Over Motor is my extensive collection of 1/18th scale models. Both myself and Al collect model cars, but until recently, mine have all been packed away from my family’s recent move and I still haven’t set up a display in the new house. I have been interested in this Alfa model for a while now, but I got my hands on one for the first time while we were out in California last month. 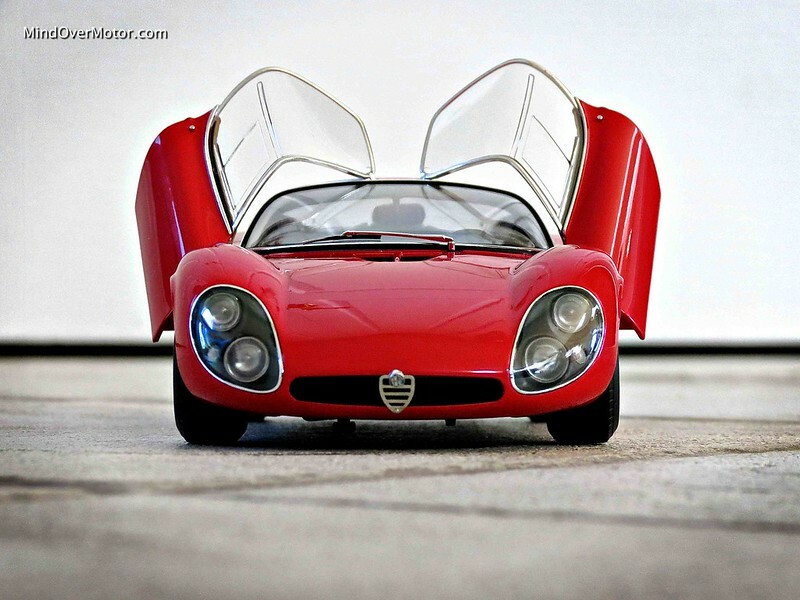 While perusing the Automobilia shops at Laguna Seca, I found the Tipo 33 Stradale model I had been lusting after. I forewent purchasing the model that day, due to logistical concerns of getting it home during my trip, but it had wet my appetite. When I got home, a few weeks later, I found myself searching for it online. I found a much better deal on Amazon.com than I would’ve gotten in California, so I decided to go for it. 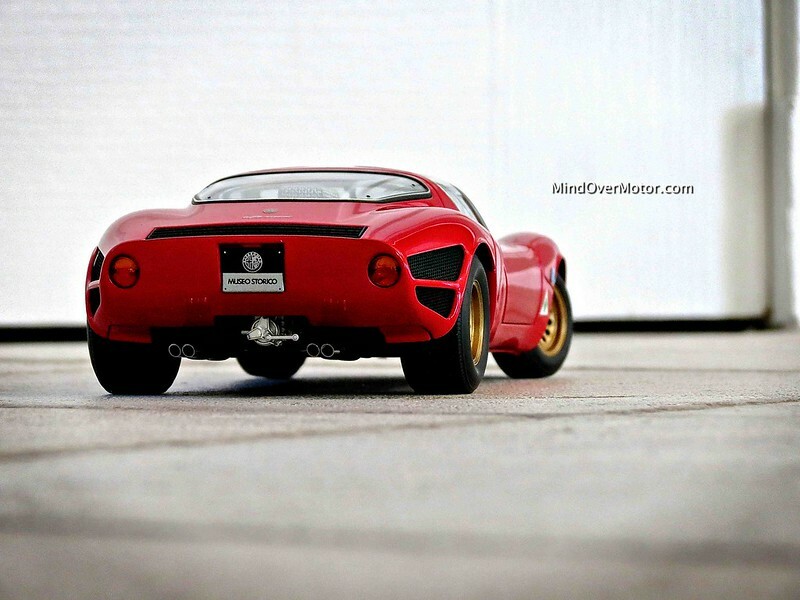 A real Alfa Romeo Tipo 33 Stradale is on, what I call, my “Soul List”– The list of cars I’d consider trading my soul for if given the chance. 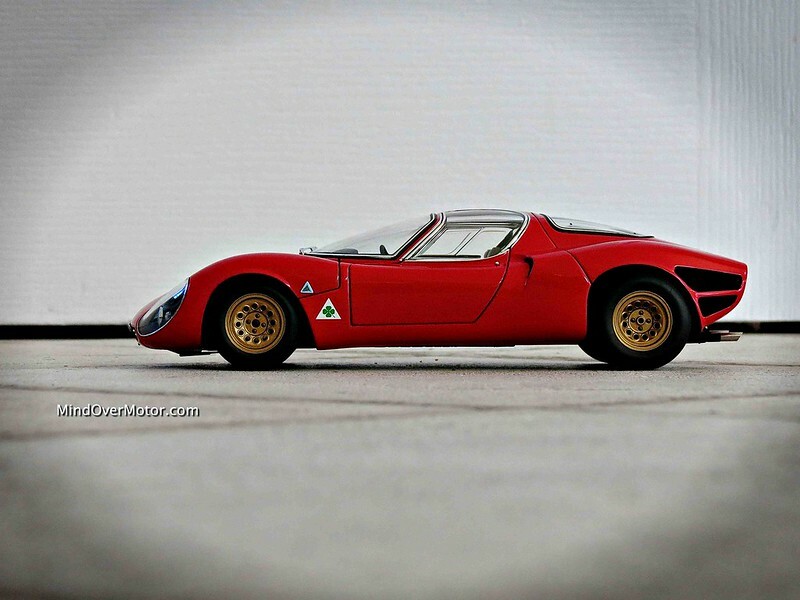 Unless someone who has a Tipo 33 Stradale will accept a trade for a soul, this model will probably be the closest I come to owning one, seeing as how they are worth something like $5 million now. But who knows, lottery tickets can be bought, and prayers can be prayed. Honestly, I’d be entirely content if I ever even have the chance to drive one of these epic machines. For now though, the model will do. 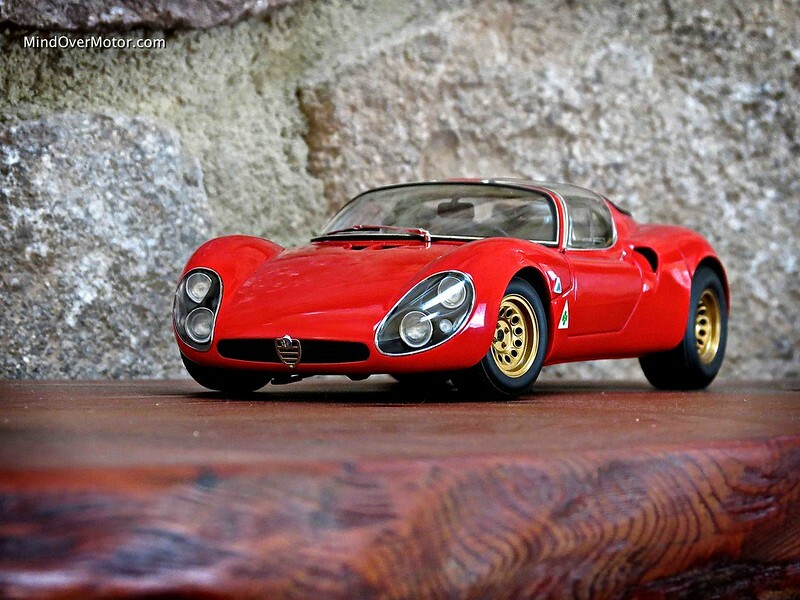 My Tipo 33 Stradale just arrived today, and I couldn’t be happier with its quality. I plan to display it in my bedroom until my larger model display gets sorted out. Incredible model. I’m lusting the Jag D type Exoto keeps tempting me with endless e mails and FB posts. I might actually want it more than any one real car at the moment.